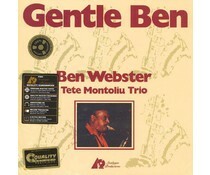 Ben Webster (1909 - 1973) a.k.a. 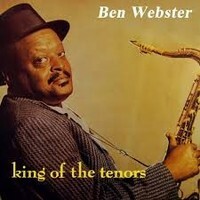 "The Brute" or "Frog", was an influential American jazz tenor saxophonist. 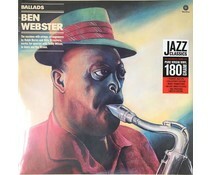 Webster, born in Kansas City, Missouri, is considered one of the three most important "swing tenors" along with Coleman Hawkins and Lester Young. Known affectionately as "The Brute", he had a tough, raspy, and brutal tone on stomps (with his own distinctive growls), yet on ballads he played with warmth and sentiment. Stylistically he was indebted to alto star Johnny Hodges, who, he said, taught him to play his instrument. 1965 Live at The Jazzhus Montmartre (1965) there are two volumes, and a compilation called Stormy Weather.